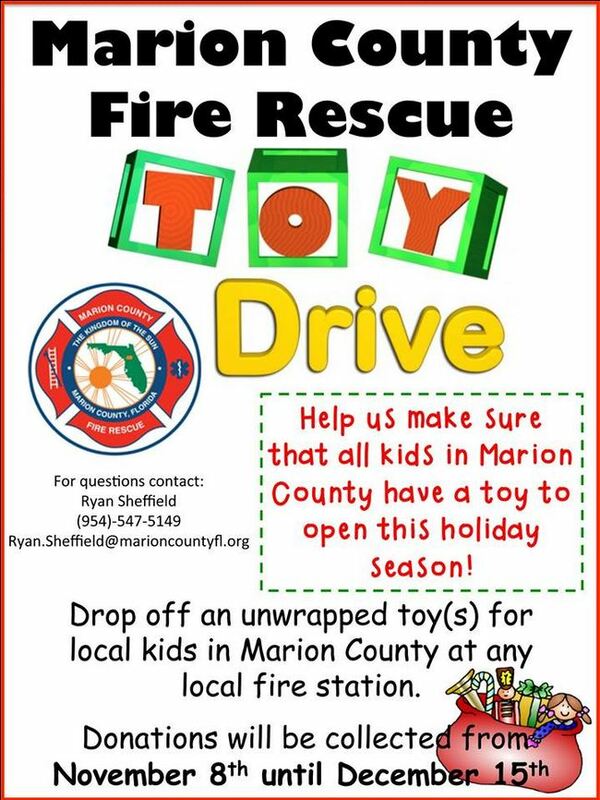 Ocala, Florida — Marion County Fire Rescue wants to make sure that all children in Marion County have a toy to unwrap Christmas Morning. You can drop off an unwrapped toy at any local fire station for this toy drive. If you have any questions you can call Ryan Sheffield at 954-547-5149.